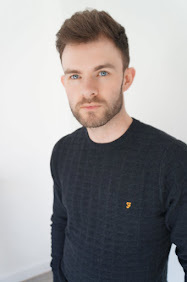 Bleary eyed and under duress, the snooze button being hit several times, cramming in an extra two minutes shut eye, i've never changed, I love my sleep and my bed. However the day has to start at some point, like many I am sure it doesn't feel like the day can start properly without my morning coffee. For a long time however, I was making a huge mistake with my home coffee making. 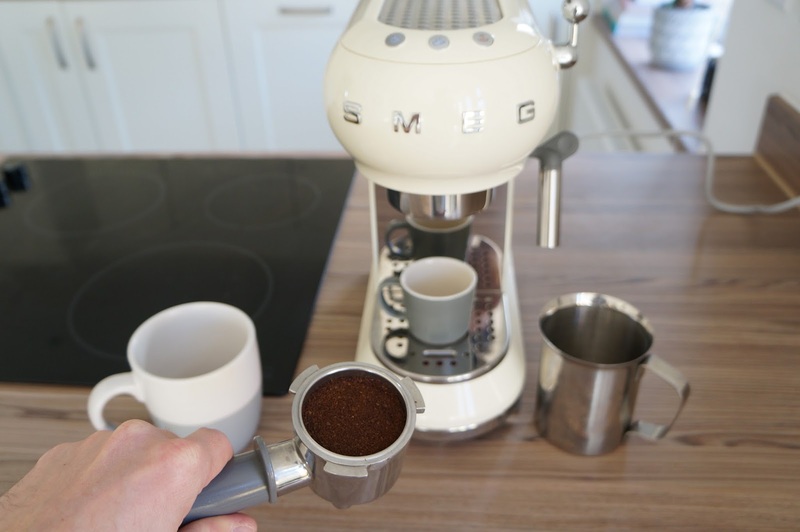 Despite thoroughly enjoying the fresh blends and especially a flat white coffee from Starbucks, at home I settled for a couple of spoonfuls of instant coffee, having never invested in a coffee machine, I was getting maybe a tenth of the pleasure and taste of a freshly brewed coffee from ground beans. Upon us purchasing our house in early 2017, I was determined that I was finally going to add a coffee machine to our kitchen applicances. This came after the perhaps the easiest 3 months of my adult life, living at my in-laws while waiting for our house to be completed. I was seriously well looked after, and it was here that I had the use of the coffee machine they had. My senses were awakened and thought to myself, what on earth have I being doing with these jars of instant coffee, that just pale in to insignificance when compared to the fresh ground bean. I was presented with a problem though, Beth was adamant that we weren't going to have a large silver machine out on the counter or kitchen island, so I had to find one that met the needs of being able to make a variety of coffees, but not wanting one that required capsules, all the while being stylish enough that it didn't have to be put away everyday after being used. 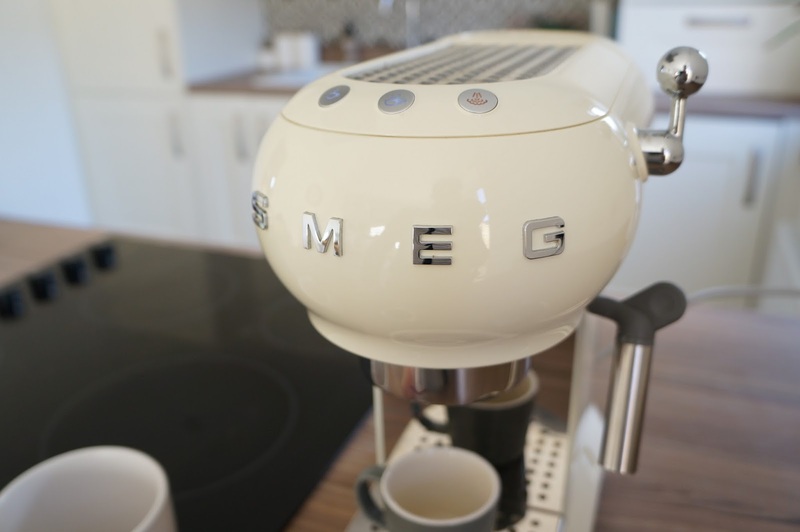 We had already purchased a cream SMEG kettle, so I thought I would see if they had one in their range of appliances, and it just so happened that they had released a coffee machine very close to that time, something that I hadn't actually seen in any retailers by that point. 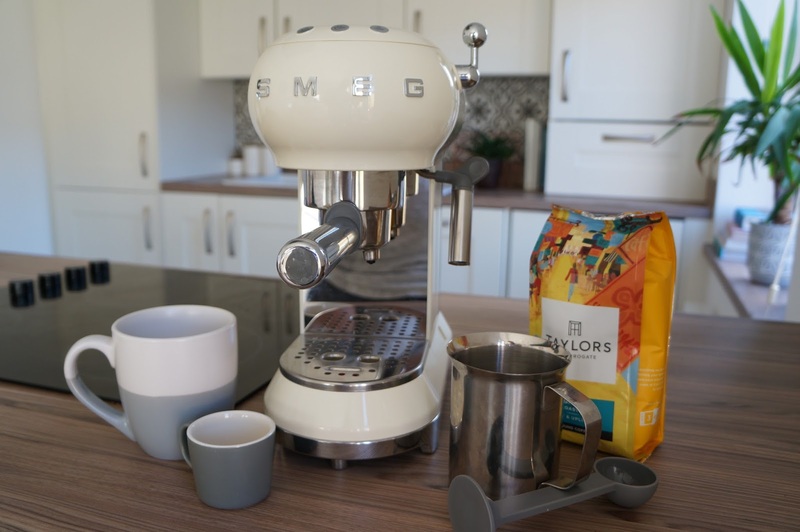 Due to it being styled with that retro 50's look, synonymous with the SMEG brand, it was the perfect accompaniment to the kettle and the look of our kitchen. 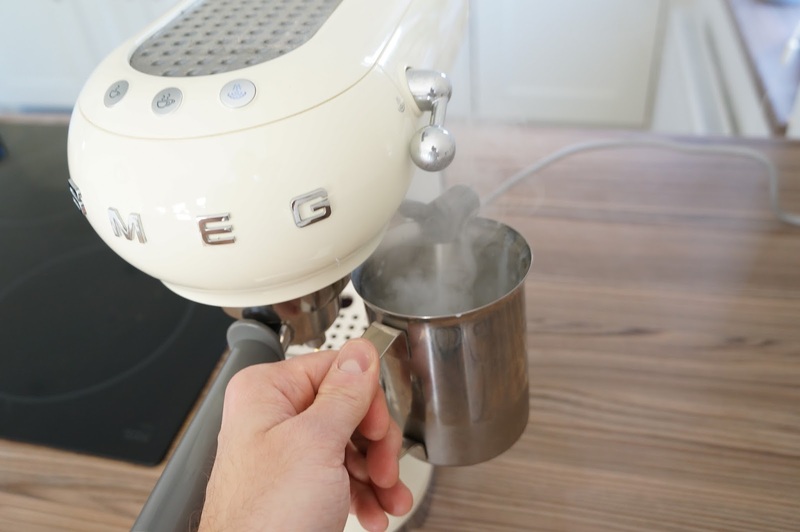 It may not have the vast array of gadgets compared to its more expensive and cumbersome rivals, but it more than makes up for that in its ability to create coffee options including, single/double espresso, latte, cappuccino, steamed & frothy milk - which also comes in handy for hot chocolate too. 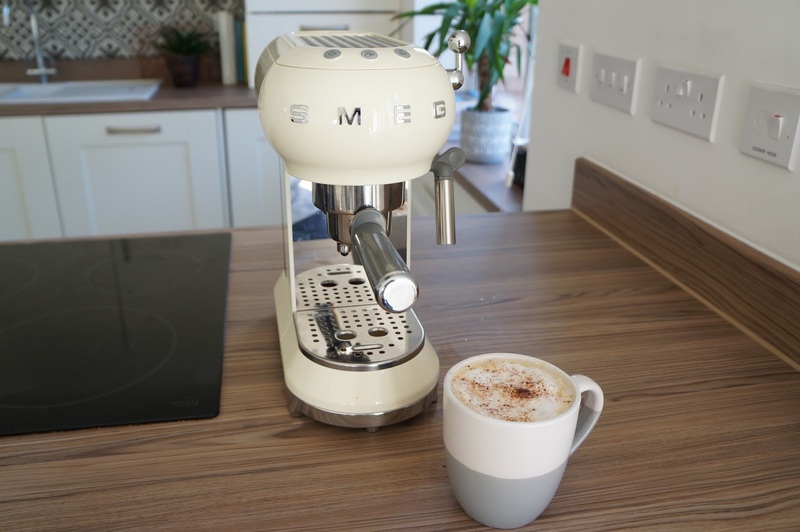 All of these capabilities are housed within an extremely great looking machine, a narrow unit dressed in a curved cream shell, with the functional elements such as the buttons and lever in chrome & stainless steel. 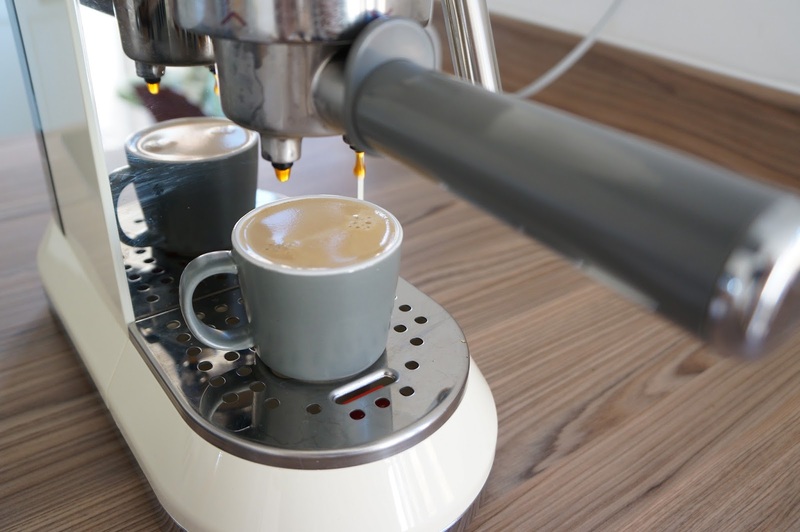 Helpful too are the functions that allow you to heat your mugs by placing them on the metal plate on top of the machine, a drip tray that has an indicator to let you know when it is full and an easy to view clear water chamber at the rear to keep an eye on the levels. All thats left then is to experiment with the huge number of coffee options out there, perhaps one for the weekday kick-starters, another for after dinner and one for the lazy weekend where you can get a bit more creative with your milk and dustings of chocolate / cinnamon etc. I have personally found the variety on offer from Taylors of Harrogate offers so many options, tasty flavours all at great value. 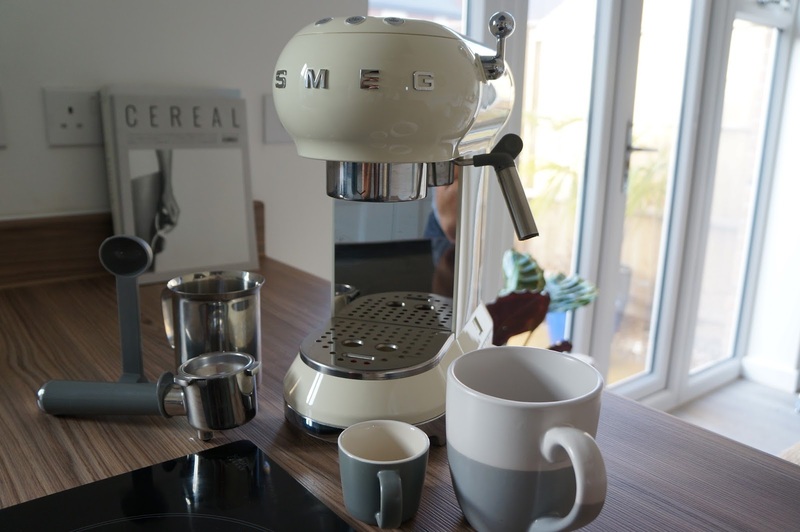 So if you are in the market for a stylish coffee machine, backed up with quality and substance then look no further than the SMEG Coffee Machine - Your morning routine deserves it.